Tickets 10 € from Lippupiste, including the fees. Concert duration approx. 1 hour, no intermission. Tickets 28 € / 20 € from www.glivelab.fi, including the fees. Doors 7 pm, showtime 8 pm, duration approx. 2 hours with interval. The concert is streamed live and can be seen also afterwards at Helsinkikanava (Helsinki Channel). Tickets 20 € / 15 € / 10 € from Lippupiste, including the fees. Concert duration approx. 2 hours including intermission. Finland is widely regarded as a periphery of jazz, and certainly not a home of some of the most talented and expressive musicians. That is why UMO is all the more proud to present one of the most interesting guitar players of the world. 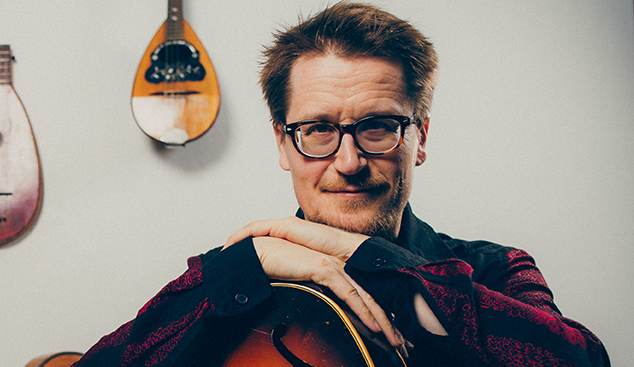 “Teemu Viinikainen is one of the top 20 jazz guitarists in the world”, says internationally renowned professor, author and critic, Stuart Nicholson. Teemu Viinikainen (b. 1975) is one of the best-known and respected jazz guitarists of Finland. Expressiveness, swing and virtuosity are integral to his style, but above all, the beautiful tones of his playing elicit feelings of presence and sensivity. In the course of his career, the supreme instrumentalist has played with various top bands, including the groups of Jukka Perko, Eero Koivistoinen and Jukka Uotila, as well as the celebrated U-Street All Stars. He has also collaborated with international stars like Joe Lovano, Tim Hagans and Randy Brecker. Thus far, Viinikainen has been the leader of three own ensembles, of which the newest, Teemu Viinikainen III, explores a more electrical world of sound. The super-charged debut record of Viinikainen, keyboard player Mikael Myrskog and drummer Joonas Riippa – the Return of Robert Dickson – was published in the autumn 2017. Among other recognitions, Viinikainen has won the Yrjö Jazz Award of the Finnish Jazz Federation and the annual Finnish record industry award Jazz Emma. He is also a distinguished pedagogue and an author of two guidebooks on jazz guitar playing. With UMO, Viinikainen performs his own numbers as well as music composed and arranged by the conductor of the concert, Mikko Hassinen.